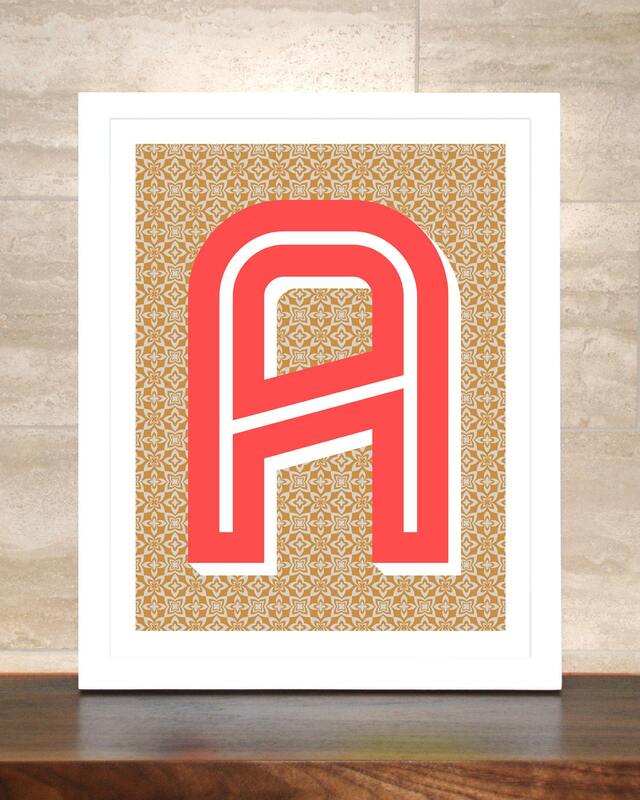 A is for...Anna, Abbie, Alexander, Amelie, Aaron, Aidan... 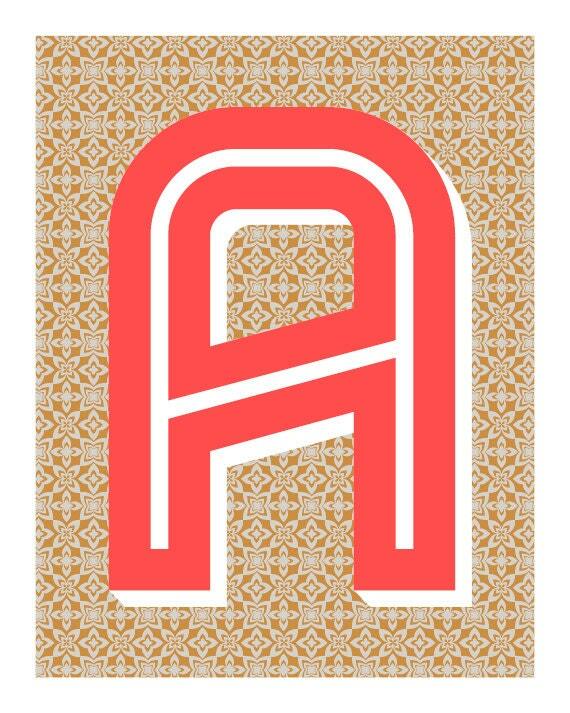 The Letter A is printed in a red orange with a white inline highlight on a patterned, gray and gold background. It looks great in a simple white frame.